NZ's Best Selection of IPL Machines and Laser Skin Treatment Equipment – Venus Supplies | Importers and distributors of Diode Laser, HIFU – High Intensity Focused Ultrasound, E Light IPL machines, laser skin rejuvenation machines, LED light therapy, and laser tattoo removal equipment. 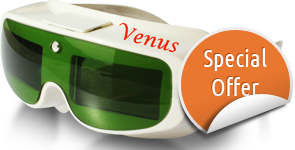 Venus Supplies is NZ’s leading supplier of DIODE LASER Hair removal machines, Elight IPL machines, Nd YAG Tattoo removal Lasers, HIFU – High Intensity Focused Ultrasound Skin rejuvenation machines and related beauty equipment. Take your time and browse over our website for the full facts. You have nothing to lose and a lot to gain. Our machines are affordable , intuitive – easy to operate and will generate a positive cash flow for you immediately. Interested? or having more questions? Call us on 07 878 4778 to have a friendly chat.